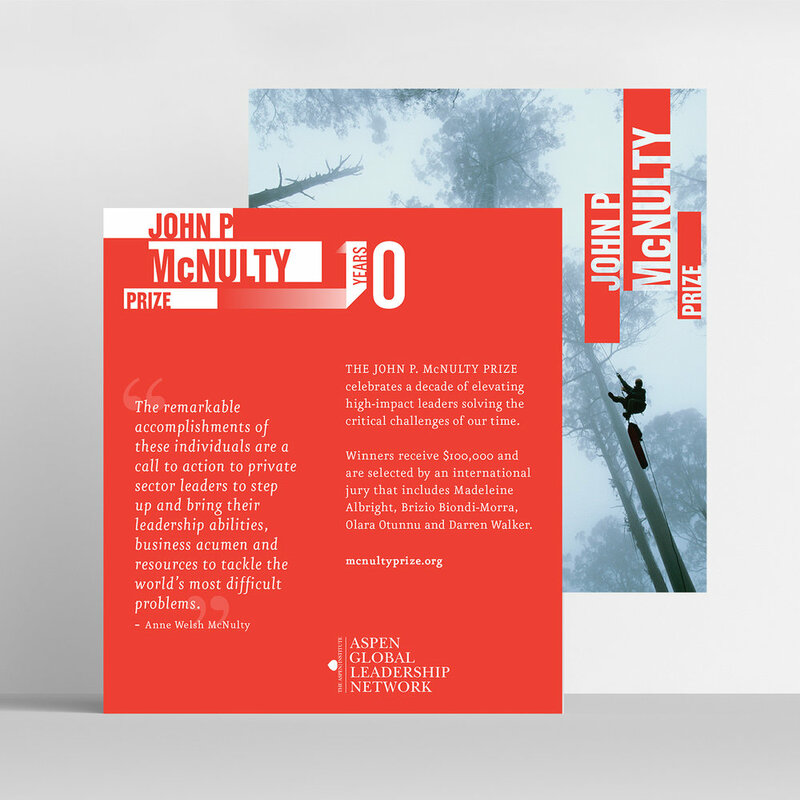 The John P. & Anne Welsh McNulty Foundation is a non-profit organization that supports individuals who have exceptional leadership abilities and works to make the world better. It has been an honor and pleasure working with the team of The John P. & Anne Welsh McNulty Foundation since 2010. This year, 2017, was their 10-year anniversary. White Box Design Studio was asked by the team to create print and digital materials for their annual event highlighting their 10-year anniversary. We created event materials including postcards, outdoor banners, and social media banners. In addition to these materials, we created a logo that looked cheerful and celebratory for their anniversary. 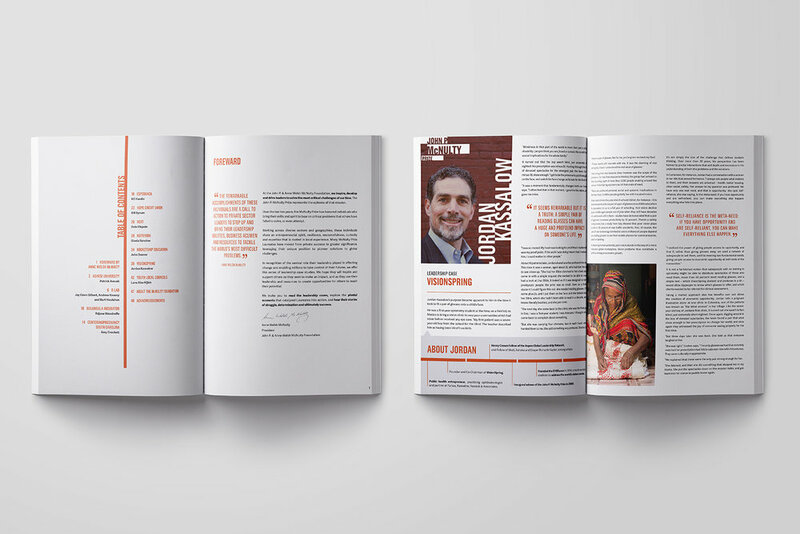 One of the big projects was to create a 48-page case study booklet with infographics for print and digital versions (Downloadable pdf's of case studies: http://mcnultyfound.org/). 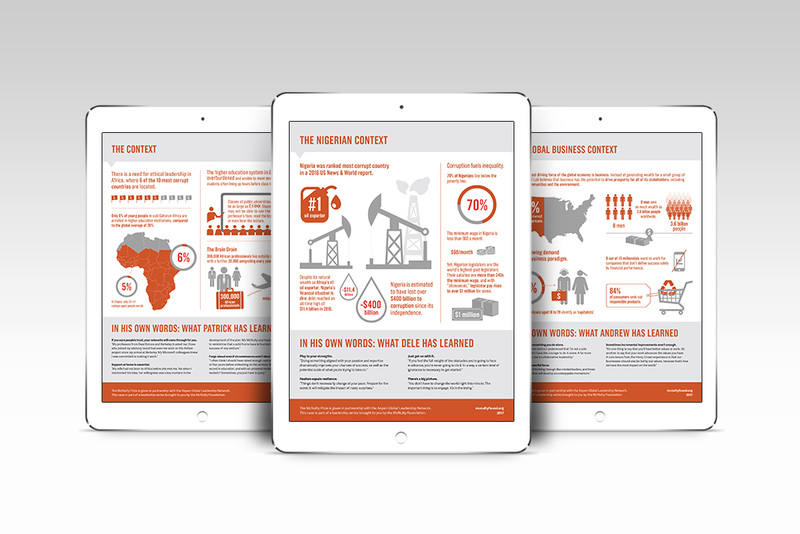 There are 10 case studies and the text was quite heavy, so we converted statistics into infographics that were more engaging and easy to understand for readers.